ASM Group of Institutes was established in 1983 and has successful completed 35 years in terms of providingthe best learning experience and outstanding professional and personal lives to its students.During this period,we have also provided the corporate world with some of the most capable professionals. We have a comprehensive experiencing of providing education from Kindergarten to Doctorate. 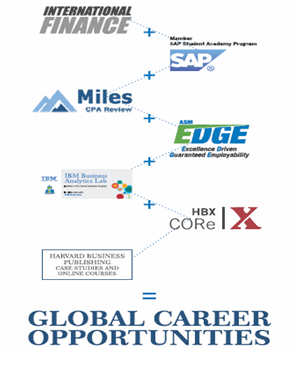 Strong alumni network with various graduates placed in many reputed companies all around the globe. 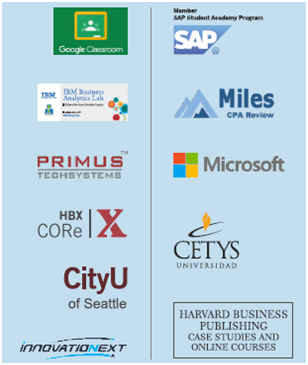 Weoffer programs that are delivered by eminent faculty members and prominent practitioners from top corporates and business schools. 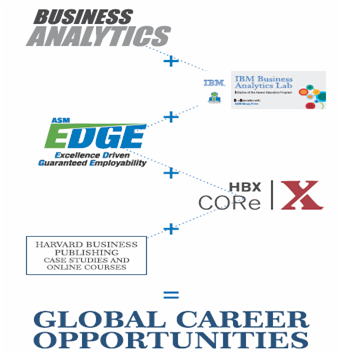 Students get guaranteed placements with the unique ASM EDGE initiative. 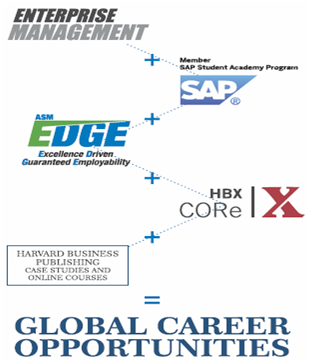 ASM’s EDGE is integrated into every program to enhance the employability of students by providing them with aholistic cutting-edge certification of the latest skills demanded by industries worldwide. 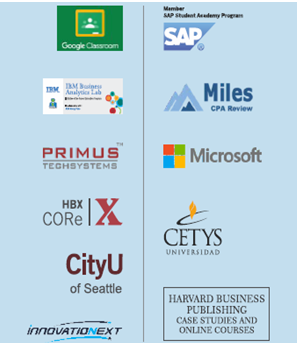 So, to give you the brief on what and when we made it,here’s the journeyof the ASM Group highlighting the major collaborations we have built with top business schools and universities across the world as well as leading corporates. 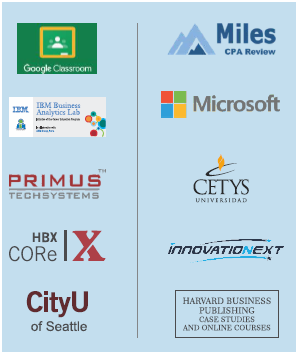 How Are These Integrated into Various Programs? 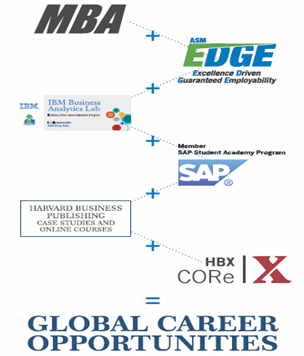 Through intensive research ASMhas initiated ‘EDGE’; a unique focused program that is integrated into the curriculum to enhance employability of the students by providing holistic cutting-edge certification of the latest in demand skills in association with leading corporates and top business schools in the world. 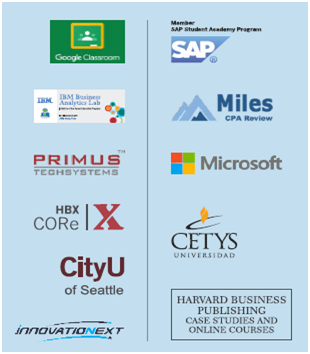 Further, the program modules are co-designed, co-developed, co-delivered and certified by leading organisations and universities from the world over. Thus, enhancing the knowledge, skills, and employability of ASM students. 4. 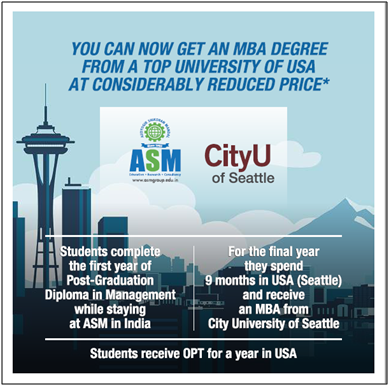 Masters in Business Administration (MBA) with City University of Seattle & ASM. We are always ready to impart excellent education to our students and prepare them for an outstanding future.ASM has superb industry-institute interaction and we have established this through more than 3 decades of hard work.And now it’s your opportunity to embark on a great journey of excellence with ASMGroup of Institutes by enrolling for a programof your choice. Feel free to contact with us. Reach us at, Phone: No: 020-27475090 / 27478666, Mob: 9422009207 /09/10/12, or Email at: enquiry@asmedu.org / admission@asmedu.org. For more details visit:www.asmgroup.edu.in.